The legal battle between Johnny Depp and Amber Heard rages on. Amber has finally hit back against her ex’s huge defamation suit — and hit back hard with brand new allegations of violence and drug and alcohol abuse. The couple were married just over a year until they filed for divorce in summer 2016, after which the he said/she said began immediately. Amber first claimed her then-husband hit her in the face with a iPhone, even at the time releasing a photo of her injuries. Then in December 2018 Amber published an op-ed in the Washington Post discussing how her abuse allegations had affected her life — she said she lost jobs as Hollywood scrambled to protect her abuser — without ever calling out Johnny by name. That apparently was too much for the Pirates of the Caribbean star, who filed a $50 million defamation suit in March. 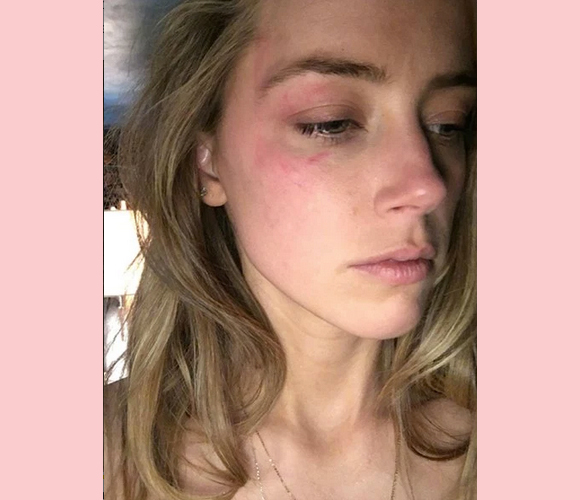 Not long after, Depp’s claims of her alleged abuse were revealed as well, along with a photograph of the actor’s bruised face. That brings us to Amber’s response. Amber filed a legal response to Johnny’s lawsuit this week. While it is ostensibly meant to combat the claim her abuse allegations are a hoax — and get the entire defamation suit thrown out — the filing does so much more. For the first time, the actress gives a full account of what it was allegedly like living with Johnny — and “the Monster” she claims he became. “About a year into our relationship, I began to witness Johnny abusing drugs and alcohol… On some occasions, when Johnny simultaneously used both illegal narcotics and prescription medications I have had to get him medical attention. Whenever he was using, I worried for both of us. He would become a totally different person, often delusional and violent. She tells one story from 2014, when she was filming The Adderall Diaries with James Franco, and says Johnny got jealous. Amber says Johnny would come back after these events, with no memory but full of regret. That was before their marriage. After all that, Amber still married him in February 2015, though she had apparently made him promise to stay clean. “In one of the most horrific and scariest moments of this three-day ordeal, Johnny grabbed me by the neck and collarbone and slammed me against the countertop. I struggled to stand up as he strangled me, but my arms and feet kept slipping and sliding on to the spilled alcohol and were dragged against the broken glass on the countertop and floor, which repeatedly slashed my feet and arms. In another incident from that same month, Amber admits to that what Johnny had claimed before, that she punched him in the face. Amber says she saw “The Monster” again in August 2015. And he had the gall to star in movie called Murder On The Orient Express after that?? Amber didn’t leave for another five months, when in May 2016 she filed for a domestic violence restraining order against him. That was when she said he threw a phone at her face. That’s when, Amber says, a neighbor came in and stood between her and “The Monster.” So instead of hitting her he allegedly hit things. DailyMail.com actually got hold of photos Amber included in the court filing of the destruction from that day. Now we guess she is done with all that? This legal filing was perhaps not meant to be public, but it is now. The details of her story are all laid out. What do YOU think of Amber’s story? ?